Konrad has 40 years of experience in the aircraft and engine maintenance, sales, and leasing industry. In his early career he used his A&P license to learn the business from the ground up as a service technician for several Miami area service companies and Eastern Airlines. He progressed to management responsibilities at Greenwich Air Service and GE Engine Service. His entrepreneurial spirit then led him to be a founding partner and President of Patriot Aviation Services in 1998. This was followed in 2002 by being founding partner and President of Complete Turbine Service. Under his guidance this company quickly developed a worldwide reputation as a cost-effective, quality organization for Field Service and Hospital Repairs of large commercial jet engines. Konrad sold his interest in the company in 2010 and assisted the new owner in developing a world class, full service engine MRO organization now known as CTS Engines where he served as President and COO. Konrad has since founded “TAF” Taking Aviation Forward, LLC. 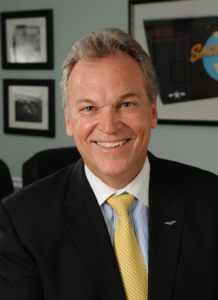 As the President and CEO of TAF, we have fostered several aviation related business ventures and partnerships alike. TAF partners bring extensive experience by managing successful companies with special focus in several aviation and financial related markets within the Aerospace industry. TAF facilitation of such ventures and assets for the Aerospace Industry, create positive cash flows and capital appreciation. January of 2015 TAF acquired a partnering interest in Aviation Management, LLC (AMI) out of Carlsbad, CA. After helping to restructure its marketing and business plan, expand its client base, lowering its operating cost, and increasing its revenue, TAF sold its interest in June of 2016. July 2015 TAF also acquired another partnering interest in Aeronautical Support International (ASI) out of Boca Raton. ASI has been serving the parts requirements of Airlines and Suppliers since 1980. ASI is a FAA AC-0056A approved vendor with TAC-2000 certification, and ITAR- registered as a government contractor. Their mission is to maintain strong industry relationships and provide our customers with material in a timely manner. July of 2016 TAF co-founded TMSaero-Turbine Management Solutions, LLC out of Boca Raton. TMSaero is a full service aircraft and engine SOLUTIONS provider. Our consultants, alliances, and engineering staff around the world provide timely, cost-saving solutions to the Commercial, Military, Freighter, Banking, Insurance providers, Legal practice, and the leasing world of operators, owners, and businesses alike. January of 2017 TAF acquired a partnering interest in HKC out of New York. For more than 70 years HKC has been committed to providing critical program support and electronic components supply to defense, aerospace and industrial manufacturing. HKC understands the ever-changing manufacturing environment and is committed to ensuring that our customers can focus on fulfilling their customers’ inventory-driven business requirements.